Our previous film nights and events. Below are all the films we have shown since we rebranded as Electric Theatre Cinema. For a quick overview of our current and planned events, have a look at the main events page or at the Events page on our Facebook page. When a group of German construction workers begin a challenging new job in the Bulgarian countryside, their sense of adventure is awakened, but so, too, are their prejudices. 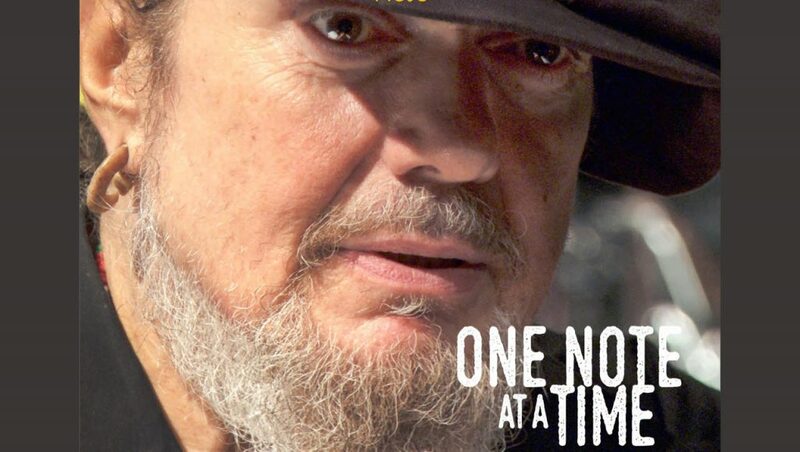 ‘If the musicians ain’t got a chance to live, then what chance has the music got?’ Dr John. This is a beautifully crafted, feature documentary, rich with colourful characters, and set in the iconic musical backdrop of New Orleans. In 2005 the music stopped, when one of the most deadly and destructive hurricanes in American history struck. Our season opener is a full-on cult classic and a rare opportunity to watch it on the big screen. It’s a film about the need for speed and going out in a blaze of glory. 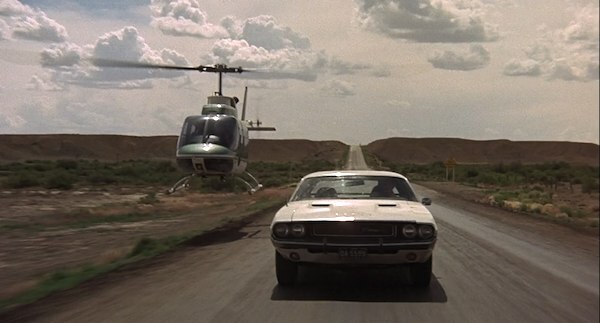 The dusty American desert horizon has never looked so dangerous and enticing…. 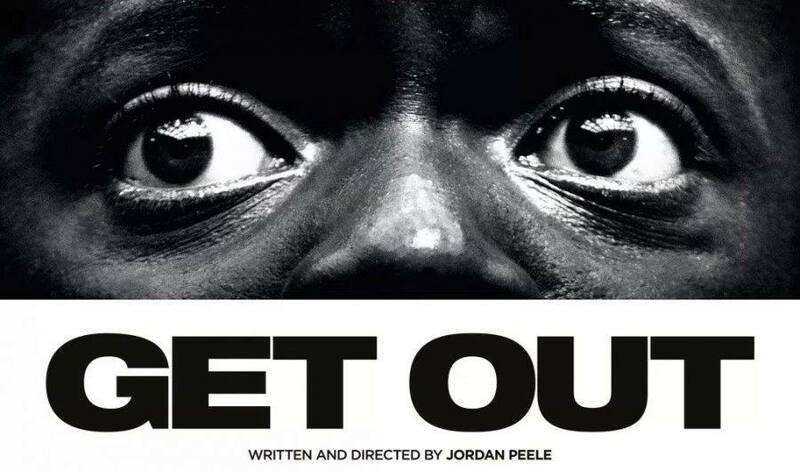 A brilliantly inventive film that gets under the skin of contemporary race politics and blends aspects of comedy and horror into a richly textured film of thrilling twists, scares and creepy undertones. 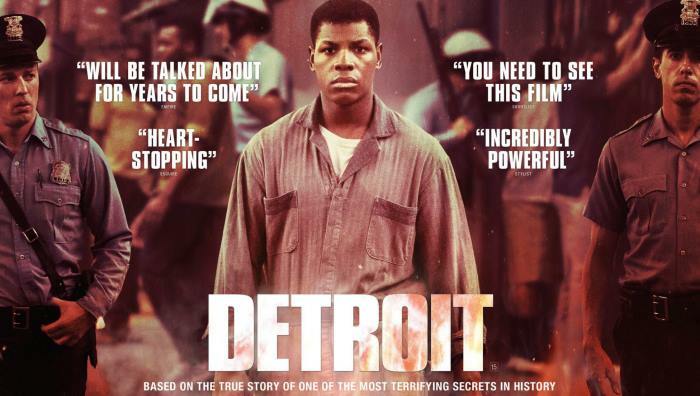 Fact-based drama set during the 1967 Detroit riots in which a group of rogue police officers respond to a complaint with retribution rather than justice on their minds. John Boyega plays a security guard drawn in to a grotesque showdown with racist cops at the Algiers Motel. A gruelling but entirely essential examination of a brutal chapter in US race struggle. 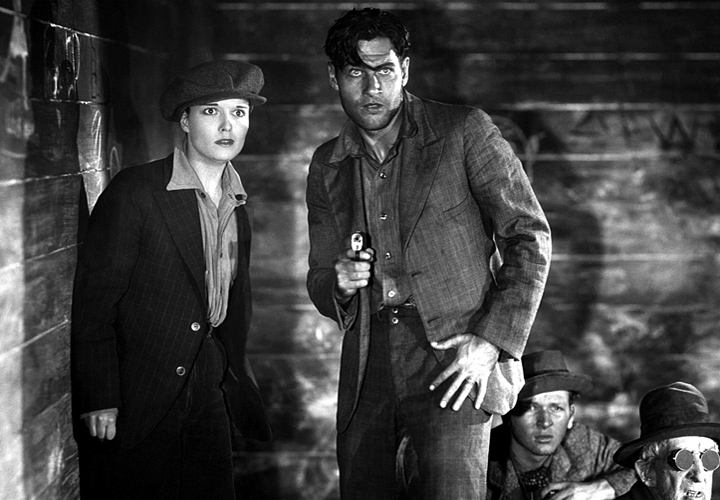 After killing her violent stepfather, Nancy (Louise Brooks) goes on the run with an amiable hobo (Richard Arlen) to escape the cops. Dressing as a boy, she hops freight trains, sleeps under the stars and eventually steals a car to escape to Canada. With dramatic American landscapes, a lyrical love story, and a daring, desperate final action scene atop a speeding train, Beggars of Life is magical entertainment. Shhh! cinema uses digital headphones to create an immersive cinema experience. A true cult classic from ‘Moviedrome’ presenter and indie auteur Alex cox. 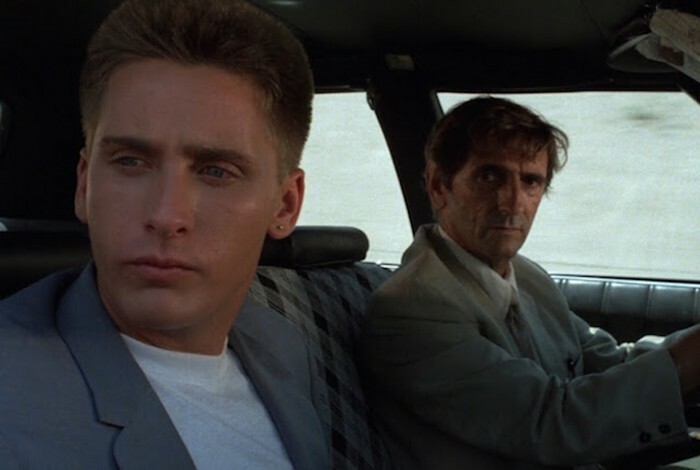 After discovering his parents have donated his college fund to a televangelist, frustrated punk Otto joins a repossession agency as an apprentice “repo man”. Magic Rock Tap, Willow Lane, Huddersfield. Film starts 6:00pm. Narrated by Willem Defoe, and scripted by Robert Macfarlane (‘Mountains of the Mind’) this new film by ‘Sherpa’ Director Jennifer Peedom is a poetic meditation on mountains everywhere. Pie & peas supper (with veggie & vegan options) inc. in the ticket price. 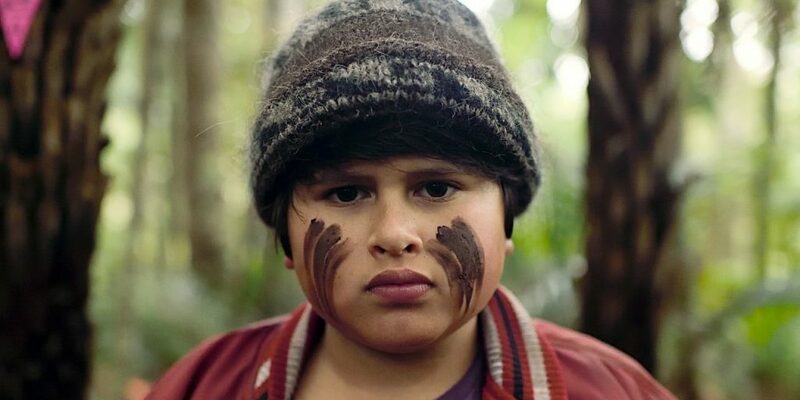 Stamped with Taika Waititi’s trademark offbeat comic sensibilities, Hunt for the Wilderpeople follows an orphaned boy used to city life who is left in the care of a foster family in rural New Zealand. Entry: free with membership (2017/18 membership still available), £5 for non-members, £4 for concessions. A girl, her uncle and a friend start an emotional travel to recover a family tree. The search for the tree and what it has come to symbolise lies at the heart of this amusing and very human story of a family at war. A Christian forges an unlikely bond with an elderly Jewish shopkeeper during World War II. 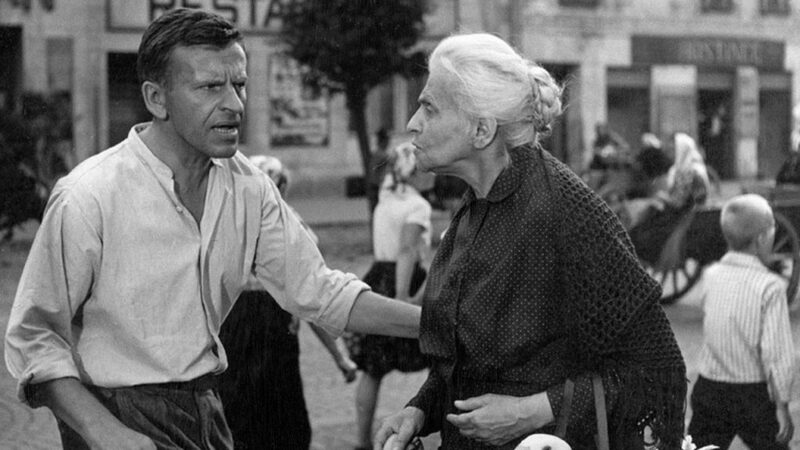 The 1965 Oscar winner for Best Foreign Film. Johnny is desperate to escape the daily grind of life on the farm where he lives. 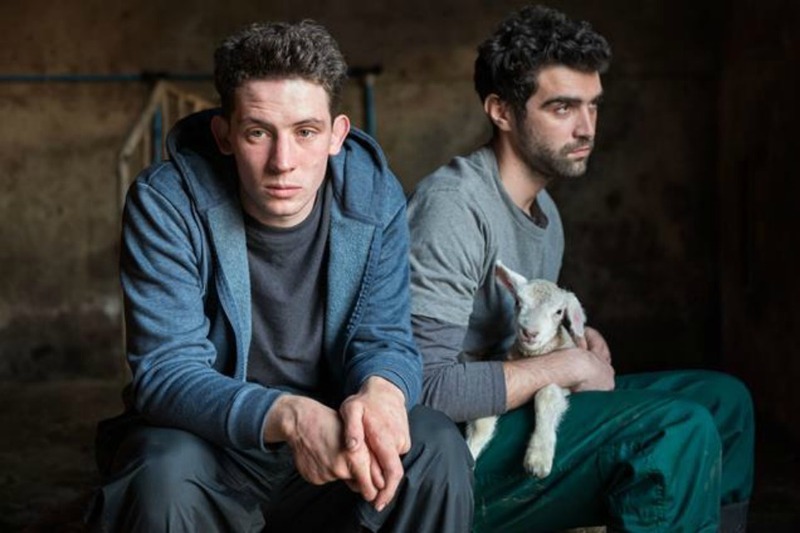 But with the arrival of Romanian farmhand, Gheorghe, Johnny slowly finds hope, love and tenderness. Our final Magic Rock Tap screening of 2017. This is a Shhh! cinema event – using digital headphones to create an immersive cinematic experience. 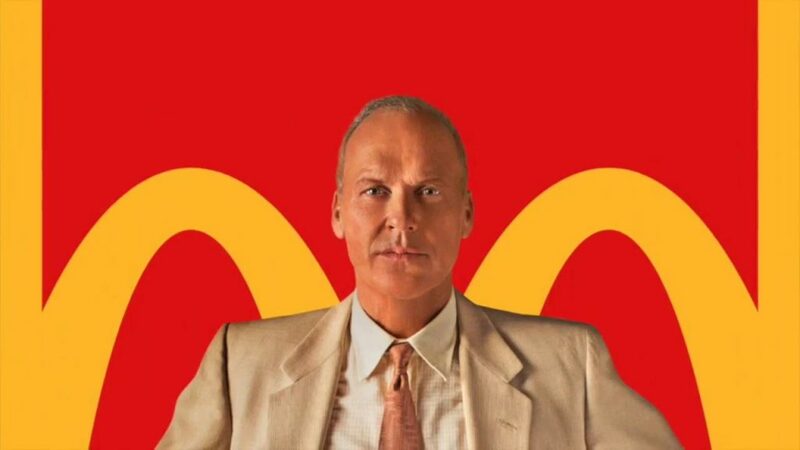 Michael Keaton stars as Ray Kroc in a film laying bare the true & ruthless story of the birth of the McDonald’s burger empire. Full bar and food by Wrapture (falafels with a twist) from 12pm. Box office opens at 5.30pm. Film starts at 6:30pm prompt. 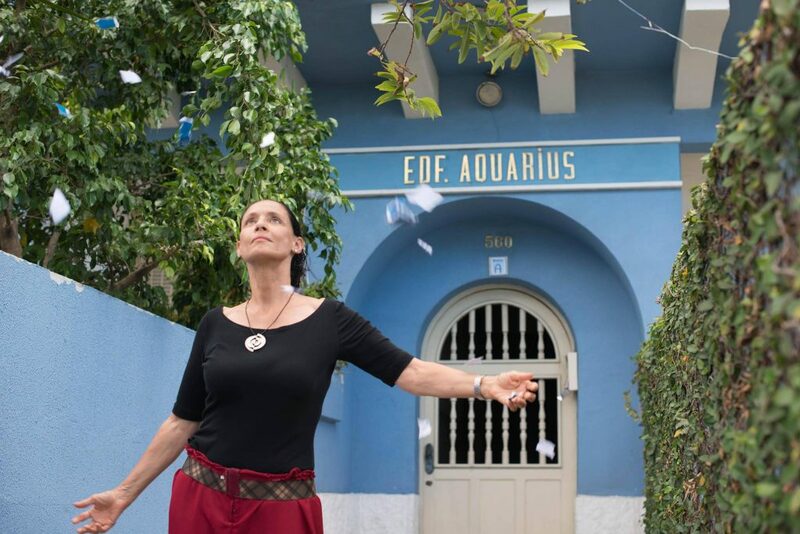 Join us for this ETC screening of “Aquarius” (2016, Dir. Kleber Mendonça Filho, Cert. 18) at Marsden Bandrooms on Sunday 3rd December. Doors & bar open 7pm, screening begins at 7.30pm. Included in membership, or £5 for non-members, £4 for concessions. 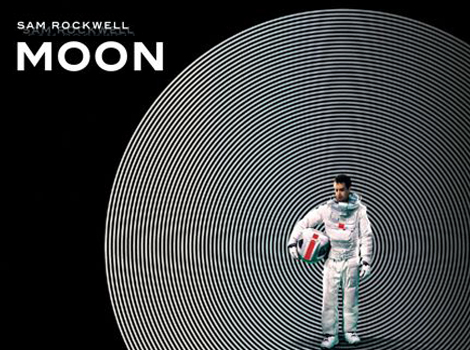 An astronaut miner extracting the precious moon gas that promises to reverse the Earth’s energy crisis nears the end of his three-year contract, and makes an ominous discovery in this psychological sci-fi film debut from Duncan Jones. Join us for a Halloween special at the Magic Rock Tap. 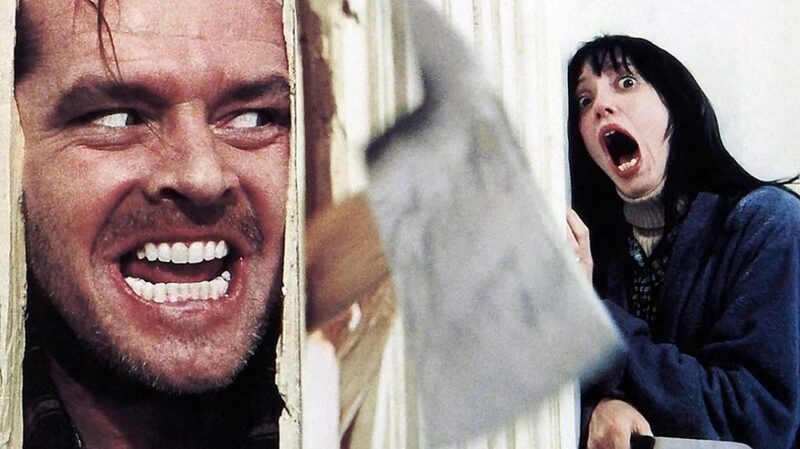 Stanley Kubrick’s undisputed masterpiece and a true classic in horror cinema. Film starts at 6:00pm prompt. Tap open from midday for drinks & food . Tickets £5 – advance booking advised! 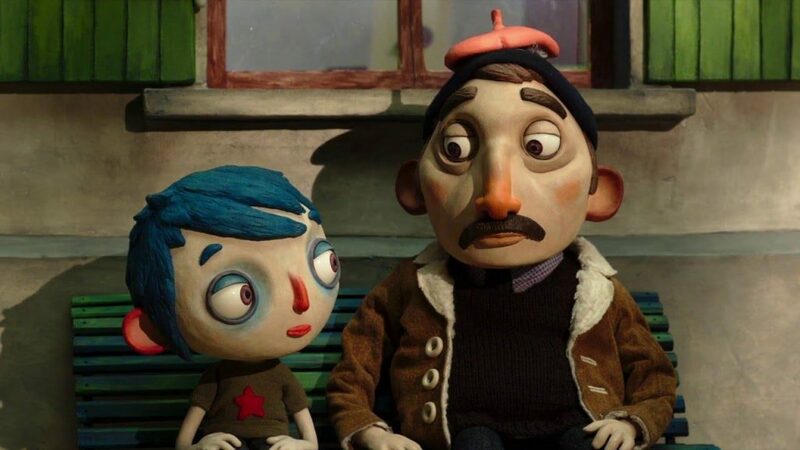 Join us for this ETC screening of “My Life as a Courgette” (2016, Dir. Claude Barras, Cert. PG) at Marsden Bandrooms on Sunday 5th November. 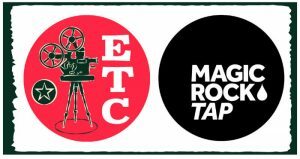 Our first collaborative screening with Magic Rock Tap, Huddersfield was on Sunday 24th September. This was Lady Macbeth (Dir. William Oldroyd, 2016, Cert. 15) at 6.30pm. 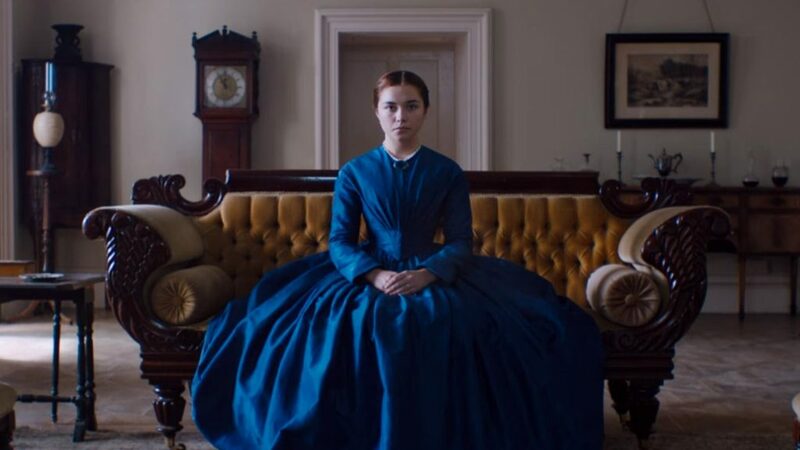 Lady Macbeth: In 19th-century rural England, a young bride who has been sold into marriage discovers an unstoppable desire within herself as she enters into an affair with a worker on her estate. This will be a Shhh! 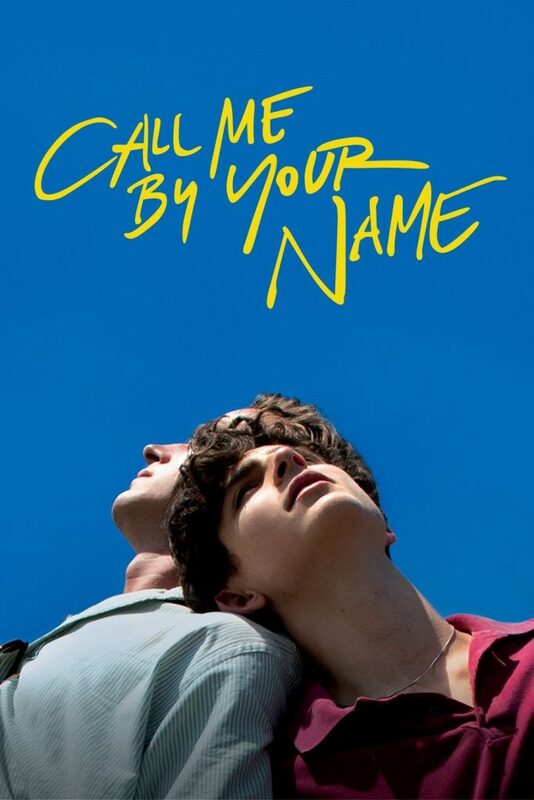 Cinema event – for your ears only! Shhh! cinema provides you with a personal experience of film like no other. Using high technology wireless headphones to create an immersive journey into the sound of cinema. Tickets: £5 film only or £10 Food & Film* Available on the door or via our ticketing site. * £5 maximum value food from concession stands on day of screening to be ordered by 6pm. This is a collaboration between ETC and Marsden Jazz Festival. £5 entry on the door or in advance from Enjoy Art, Peel Street. Venue: Marsden Bandrooms, Marsden Lane. 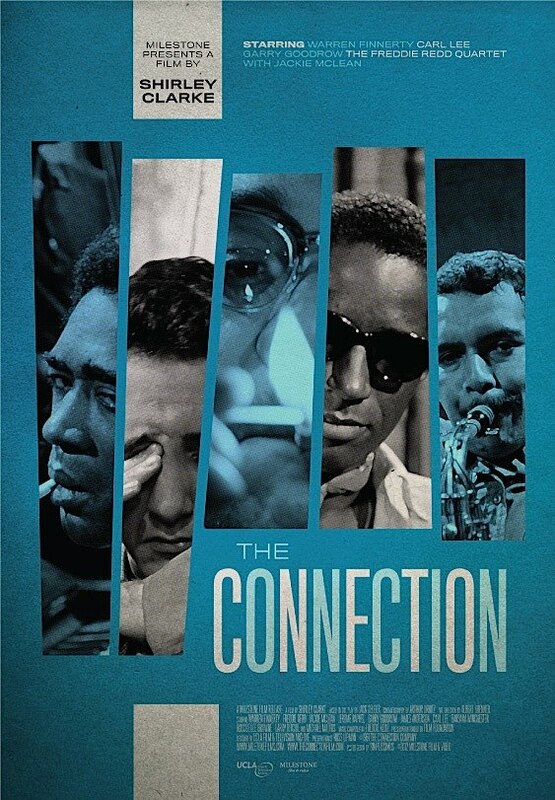 The Connection takes us directly into the seedy world of heroin and jazz. A director films jazz musicians as they wait for their dealer, the cowboy, to arrive. 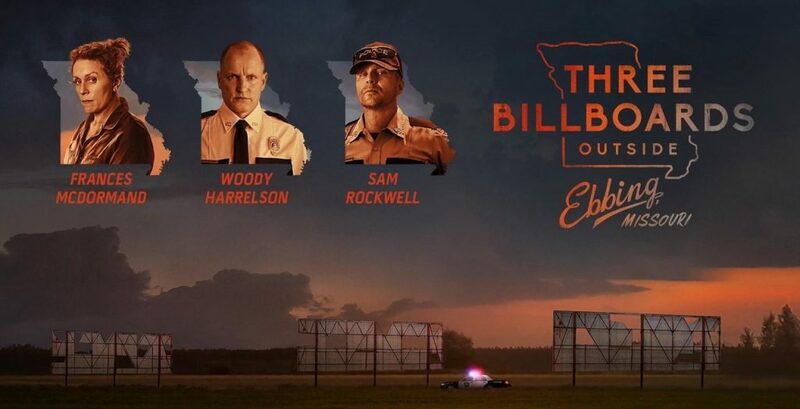 When the cowboy arrives, the director is faced with a dilemma – does he take heroin to prove that he is not a narc or cut the film short? The result is an unique and brilliant cinematographic insight into the underground world of jazz and junkies in the 1960’s. Shhh! cinema immerses you in a personal experience of film like no other. Using high technology wireless headphones to create an immersive journey into the sound of cinema. 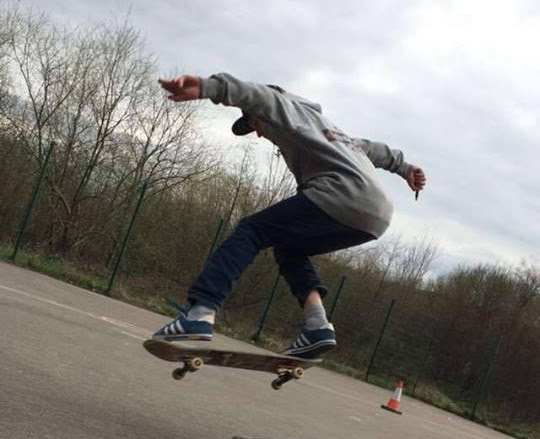 Over the summer we’ve been collaborating with the Colne Valley Skate Project and Kirklees TV to produce a fantastic short film, which will be screened at an exciting event on Saturday 16th September. We’re hoping Ramp Riders will be here with their pop-up skate park at the Old Goods Yard between 3pm and 5.30pm. Live music will then be played at the Royal British Legion in Marsden between 6-7.30pm followed by a screening of Rogue One: A Star Wars Story at 7.30pm using our Shhh! Cinema headsets. A Friends Of Marsden Library fundraiser. 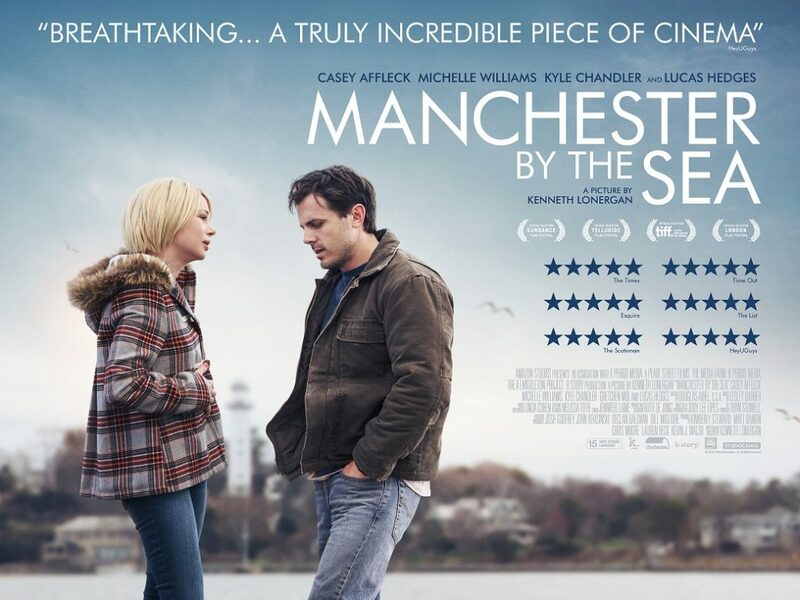 Join us for this ETC screening of “Manchester by the Sea” (2016, Dir. 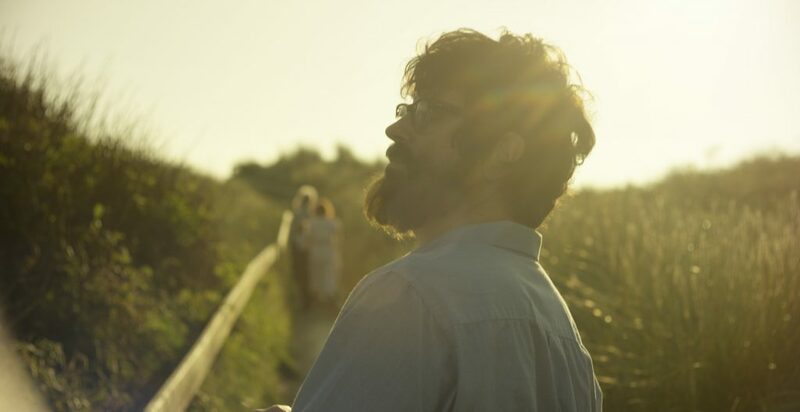 Kenneth Lonergan, Cert. 15) at Marsden Bandrooms on 2nd July. Included in membership, or £4.50 for non-members. This will be the final screening of the season, before our summer break! 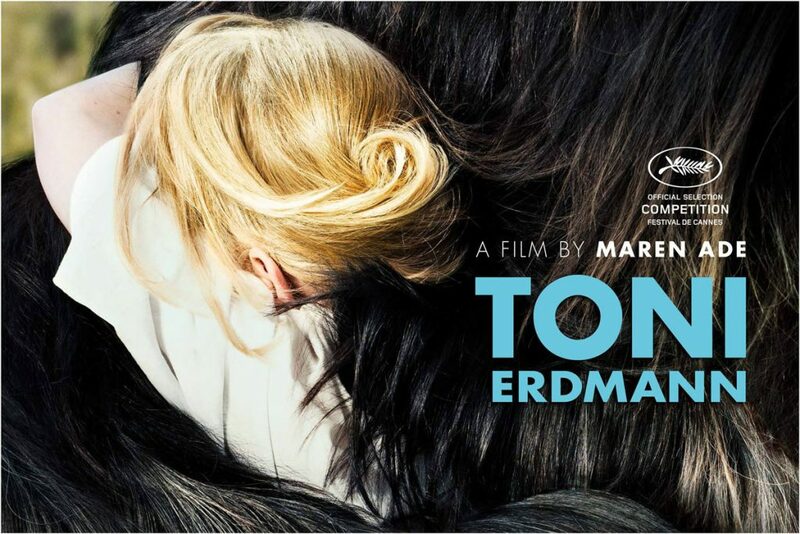 Join us for this ETC screening of “Toni Erdmann” (2016, Dir. Maren Ade, Cert. 15) at Marsden Bandrooms. German, English & Romanian language. 2hr 42mins. Doors & bar open 6.30pm, screening begins at 7pm. PLEASE NOTE earlier start time due to length of film! Included in membership deal, or £4.50 for non-members. Tickets available on the door. This May, Electric Theatre Cinema join with Holmfirth Film Festival once again to bring you two nights of great films. 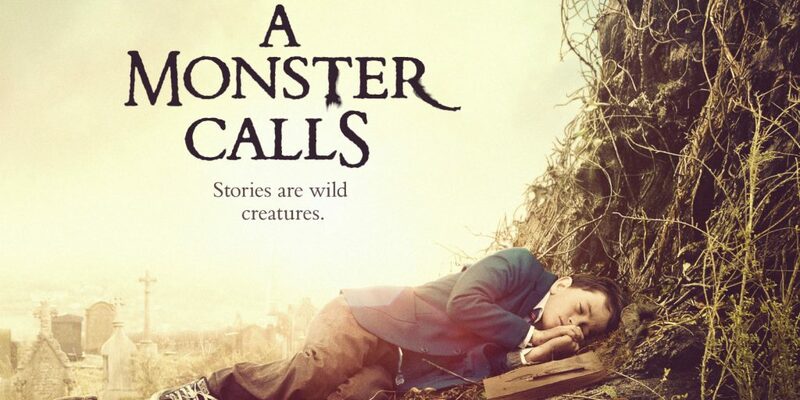 Join us for the first of these, a screening of “A Monster Calls” (2016, Dir. J.A. Bayona, Cert. 12A). Doors & bar open 6.30pm, screening begins at 7pm. Tickets on the door £5 or £4 for under 18s. Screening will take place at Marsden Mechanics Hall, Peel Street, Marsden. Parking is available on street near this venue. There is disabled access via a standard lift. Join us for the second of these, a screening of “Christine” (2016, Dir. Antonio Campos, Cert. 15). 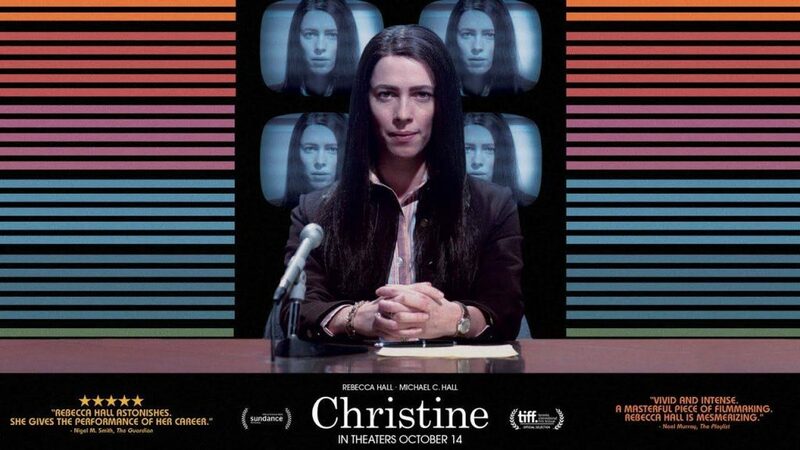 “Christine”: The story of Christine Chubbuck, a 1970s TV reporter struggling with depression and professional frustrations as she tries to advance her career. Antonio Campos gives the true story of the American TV news reporter who killed herself on air its second, superior big-screen telling. Starring Rebecca Hall. English language. 1hr 59 mins. Tickets on the door £5. 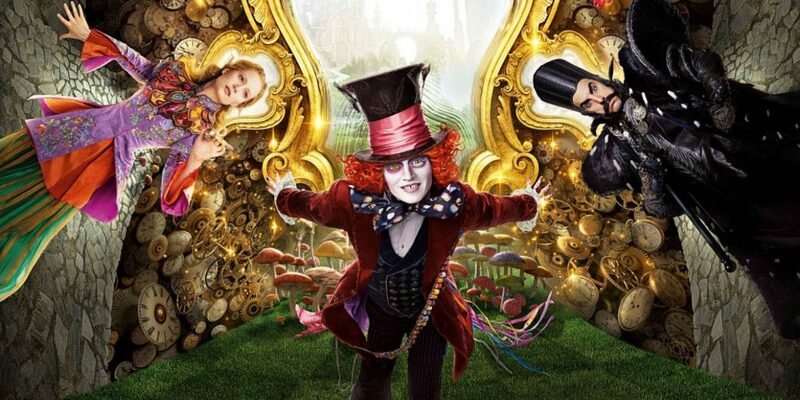 Electric Theatre Cinema together with Marsden Cuckoo Festival are pleased to present a special family screening of Alice through the Looking Glass (2016). And please bring your own picnic. Please note this film has a PG rating. Doors open midday for a family picnic, screening begins at 1pm. There will be light refreshments at this screening and the bar will also be open (for the grown-ups!). Ice-cream will also be on sale from Month of Sundaes. Tickets: Family £10 (2 adults, 3 children), £3.50 adults and £2.50 children. Tickets available in advance from Marsden library and on the door subject to availability. Parking is available on street near this venue. There is disabled access via a standard lift. Join us for this ETC screening of “Moonlight” (2016, Dir. Barry Jenkins, Cert. 15) at Marsden Bandrooms on Sunday 7th May. At this screening you can join as a half member at £12 for 3 free screenings, as well as many other benefits. Screenings thereafter are £4 for members. Venue: Marsden Musical Institute, Marsden Lane, Marsden, Kirklees. Due to popular demand, we will be hosting another screening of this five-time BAFTA nominated film. PLEASE COULD YOU MESSAGE US ON FACEBOOK OR EMAIL US TO RESERVE YOUR SPACE, which means we will be able to guarantee your seat, and ensure we can admit guests on the door. 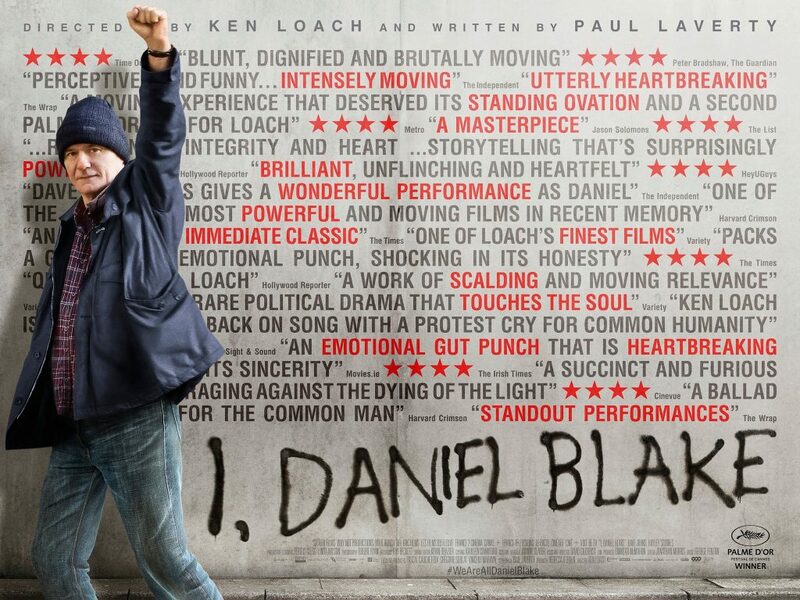 Join us on Saturday 4th February at ‘Marsden Bandrooms’ to watch “I, Daniel Blake” (2016, Dir. Ken Loach, Cert. 15). Doors open 7pm, screening begins at 7.30pm. Included in membership, or, for £4.50 for non-members. We will be collecting for The Welcome Centre at this screening. We have spoken to the Centre and they are most in need of cash donations at this time. 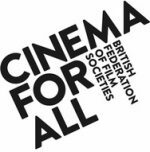 You can join as a member at this screening for £24. This includes 6 free screenings as well as many other benefits. Screenings thereafter are £4 for members. Join us for this screening of When I Saw You (2012, Dir. Annemarie Jacir, Cert. 12) in conjunction with the Holocaust Memorial Day Trust. When I Saw You: 1967. 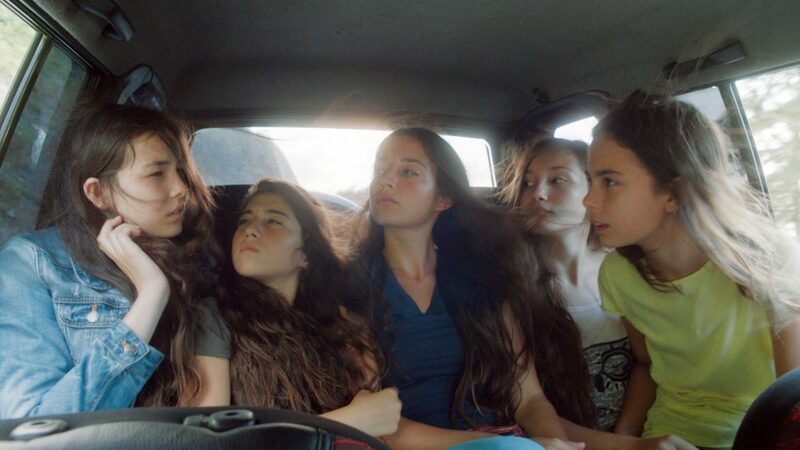 Join us for this screening of Mustang (2015, Dir. Deniz Gamze Ergüven, Cert. 15) in conjunction with International Women’s Day. 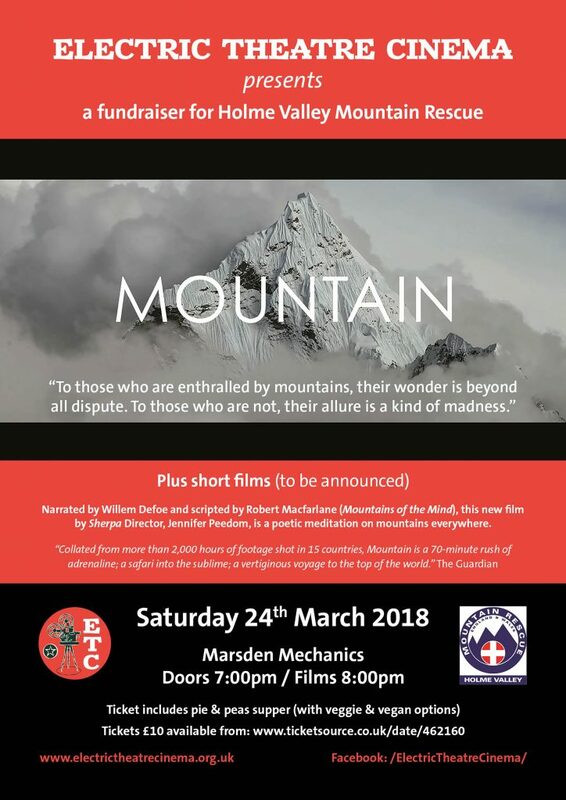 At this screening you can join as a member for £24 with 6 included screenings or a half member at £12 for 3 free screenings, as well as many other benefits. Screenings thereafter are £4 for members. 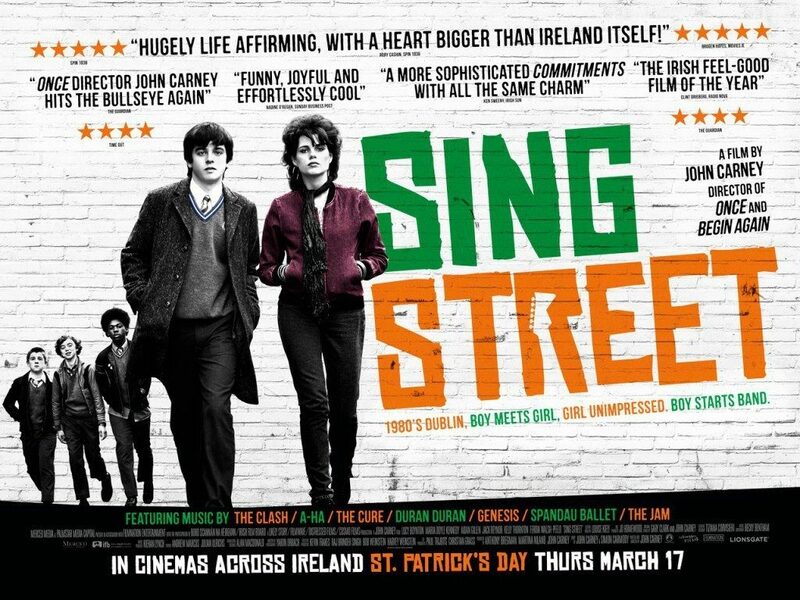 Join us for this Food & Film screening of Sing Street (2016, Dir. John Carney, Cert. 12A) at Marsden Mechanics. We’ll be serving an carefully designed, Irish themed, three-course meal before the film! Sing Street: A boy growing up in Dublin during the 1980s escapes his strained family life by starting a band to impress the mysterious girl he likes. Cracking soundtrack, great film. Doors & bar open 7pm, food served at 7.30pm. Tickets must be booked in advance and dietary requirements given – we cook all food fresh on the day to order! Menu to follow…..
Tickets cost £20 and can be booked in Goodness Me on Peel Street, Marsden. You can also book via PayPal but there is a 50p booking fee. This January sees a special screening in collaboration with Dolly Shot Picture House and The Red and Green Club in Milnsbridge. Join us on Sunday 8th January at Marsden ‘Bandroom’ to watch “I, Daniel Blake” (2016, Dir. Ken Loach, Cert. 15). Included in membership, or, for this event non-members can pay only what they can afford. We will be collecting for The Welcome Centre at this screening. We have spoken to the Centre and they are most in need of cash donations at this time. Tickets: on the night at the Bandrooms or (up to 30th Dec) call in to Enjoy Art in Marsden. Zootropolis: In a world populated by anthropomorphic mammals, a rabbit from rural Bunnyburrow named Judy Hopps fulfills her childhood dream of becoming the first rabbit police officer in urban utopia, Zootropolis. Doors open 12.30pm, screening begins at 1.15pm. Tickets: Family £10 (2 adults, 3 children), £3.50 adults and £2.50 children. 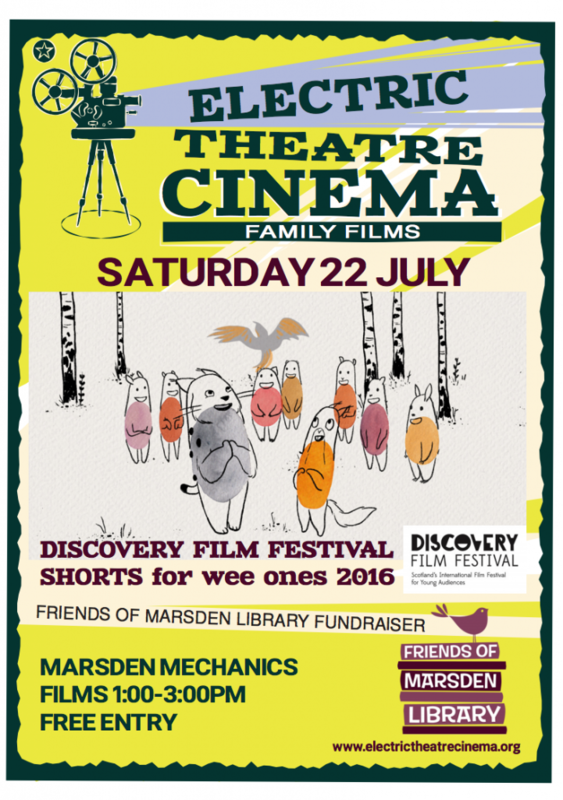 Tickets available in advance from Marsden library. 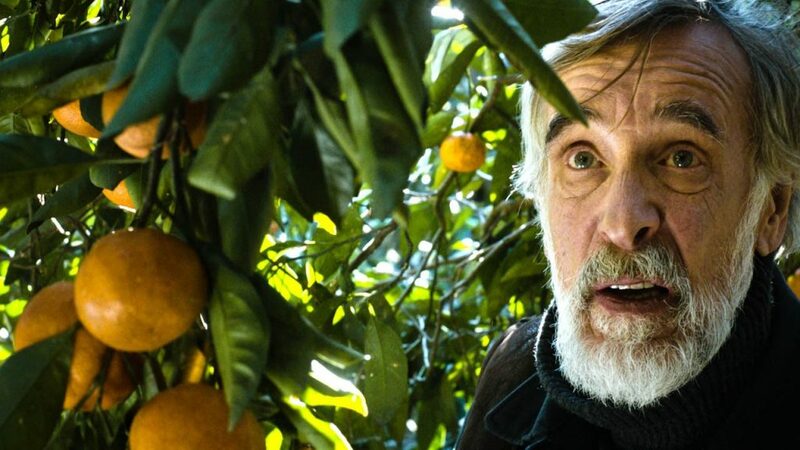 Described as “engaging, intelligent anti-war storytelling” (The Guardian), Tangerines was Oscar-nominated for best foreign film in 2015. Set in 1992 during the Post-Soviet Chechen conflict, the film has a powerful and moving anti-war message. Caught in the middle of the bloody conflict, the war arrives literally at the doorstep of Estonian tangerine farmer Ivo as he takes one wounded fighter from each side into his home: Georgian Niko and Chechen mercenary Ahmed. As the fighters confront and question their ethnic divides, the film delivers a powerful message of peace and reconciliation. Venue: Marsden Mechanics Hall, Peel Street, Marsden. Stubborn and set in his ways, ‘The Grump’ is a force of nature who resents the modern world and believes things were better in the old days. After a bad fall requires physiotherapy and a trip to Helsinki, the Grump is confronted by the big modern world whilst spending time with son Hessu and his career-minded daughter-in- law Liisa in the city. 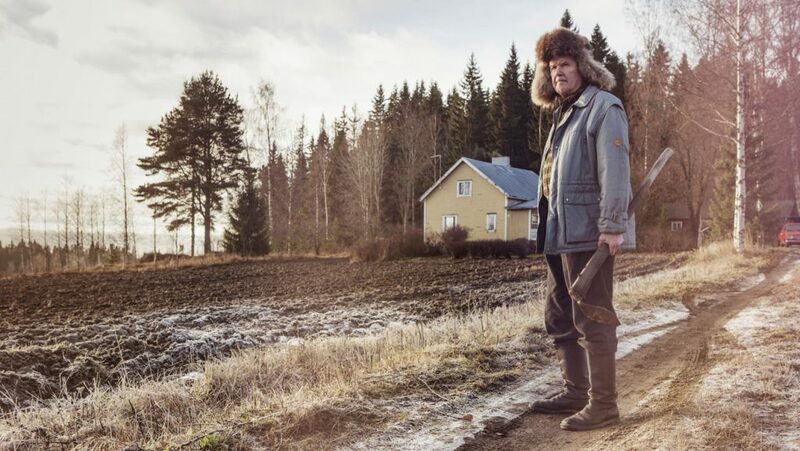 This Finnish dark comedy centres on an infuriating and hilarious portrait of this curmudgeonly unlikable character, but develops into a touching story about tolerance and closing the generation gap. Curated by the Yorkshire Film Archive, join us for an evening of local archive films, and the launch of our new season as the Electric Theatre Cinema! The story of a fictional Rolling Stone journalist meeting with Jazz great Miles Davis in 1979 was a true labour of love for Don Cheadle who co-wrote and stars in his directorial debut. 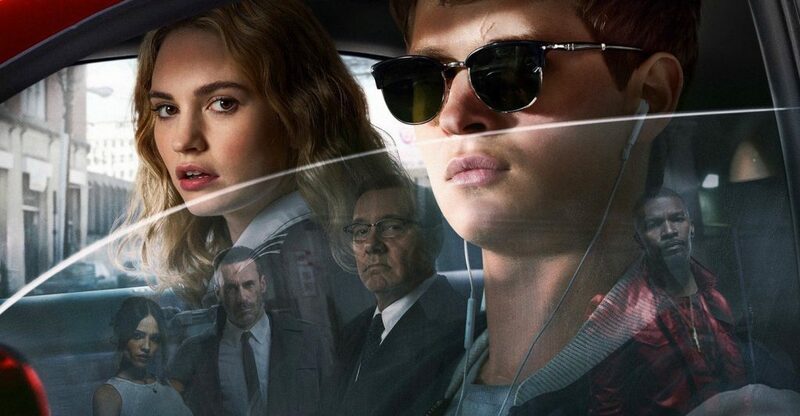 It’s an unconventional music biog that follows the unlikely pairing as they attempt to recover session tapes from music producers via crime caper shoot outs and car chases. It’s a wild ride through the’ 70’s drug addled wilderness years with flashbacks to his ground-breaking bebop heyday as Davis attempts to get his career back on track.